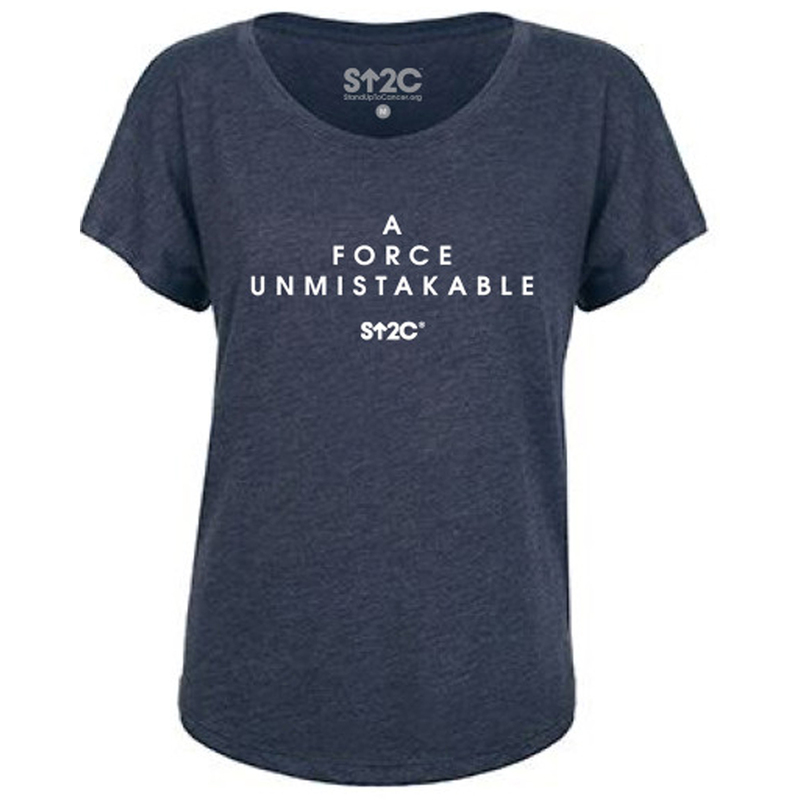 Stand Up in style with this chic, breezy, free-flowing dolman SU2C T-shirt in a rich vintage nay color. 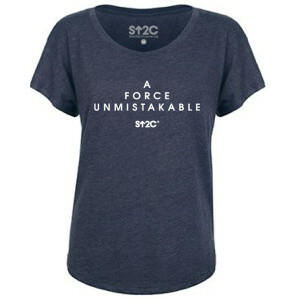 This super-soft triblend T-shirt features a modern, draped cut highlighted by the relaxed dolman sleeves and a simple but strong message. Whether relaxing at home or out with friends, show your support and be proud that you are joining in the fight against cancer.